Shawnee Street bridge over an HCFCD Ditch, a timber bridge built in 1983, was structurally deficient due to severe deterioration of the timber piling substructure. Aguirre & Fields coordinated with the hydraulic engineer to select a structure type that would meet hydraulic opening requirements to not adversely impact existing 10-year and 100-year storm frequency water surface elevations. 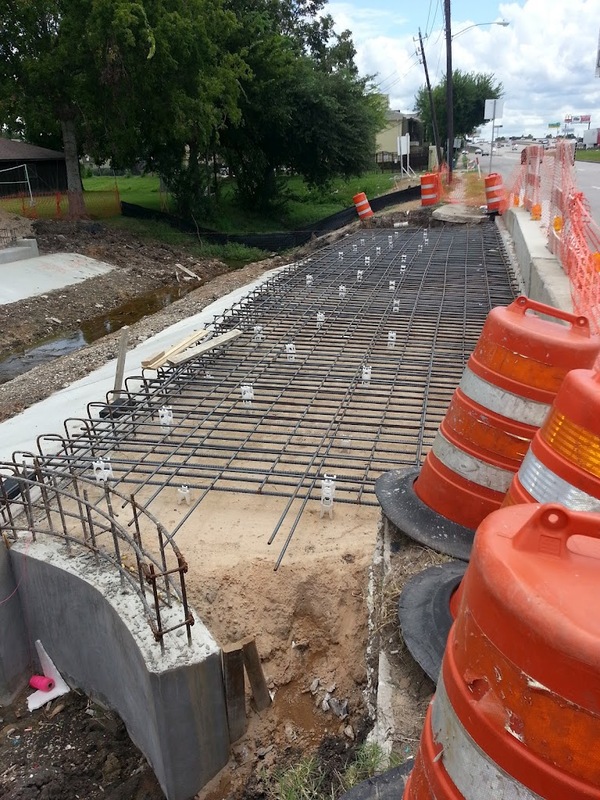 Since the bridge west approach tied into IH 45 frontage road, coordination with TxDOT was required. Aguirre & Fields designed a single span prestressed slab beam bridge supported on drilled shaft foundations. The project duration from start of design to completion of construction was less than 16 months.